(1) Mr. Trump, you were elected, overwhelmingly, by the votes of White Americans. No other group supported you with a majority of its votes. Our political elite and its managerial class did not vote for you. Our browning major cities did not vote for you. (2) White men voted for you; White women voted for you; and, most important of all, White working class people voted for you. You need to come through for these White workers. They are depending on you to keep all your promises, express and implied, and stand up for them against the Jewish-led political and corporate elite that exploits and abuses them, uses them for cannon fodder in its endless wars for Israel and Wall Street, and has slated them for extinction because they are very unreliable slaves. (4) By standing by, and amplifying, your reluctance to fight Wall Street’s and the Jews’ wars — by standing by your nationalism and incorporating into it real socialism (call it by another name if you like, but social-minded nationalism is the only way forward), by incorporating a cancellation of bank debt into your program, by nationalizing of the central bank, by subsidizing tuition for the best of our young people, and also by making it possible for them to begin accumulating wealth and having large families early in life, you can build a coalition of White workers young and old that can last a decade or more — that can, possibly, be a factor in saving the America that I believe you love. (5) You have already successfully cut the ground from underneath the feet of the Establishment Republicans by taking away the issues that they used to run on, and showing those Republicans to be ineffective liars who were only using those issues to get the votes of White Americans, who they then immediately proceeded to betray as soon as they got into office. (6) By standing up for White workers against the banks and the Jews of Wall Street, you can also cut the ground from beneath the feet of the Left in this country, by taking away the issues that they used to run on — and who, just as much as the Establishment Republicans, betrayed their supporters again and again once they were in office and chose to obey the orders of oligarchs like Soros. (7) By doing all of these things, you can build a coalition between young White workers and students and older White workers that will last for a decade or more, and which will, during that time period, be undefeatable at the polls. This will give the people themselves — through my organization, the National Alliance, and through other entrepreneurs and innovators, time to build media, social, religious, and political organizations that can turn the tide against the anti-White establishment and defeat it permanently and ten times as soundly as you did earlier this month. Such a coalition will give us time — and the right social climate — to not only “build the wall,” but to arrest, and imprison or exile, those oligarchs who are using their billions to destroy us, those who accept their bribes, and the private intelligence agencies, change agents, and dirty tricks operatives they use to destroy their opposition. It’s time to destroy them. 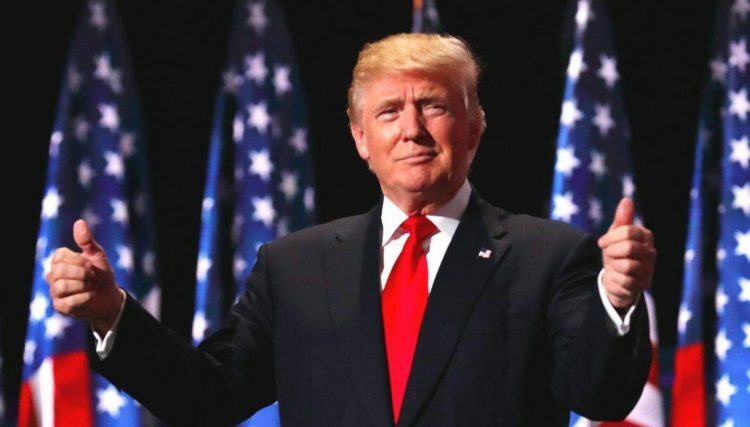 Additionally, Mr. Trump, you must already be aware that you are surrounded by “neoconservatives” and corrupt Establishment Republicans, many of whom supported you only in the last moments of your race, when it began to look as though you had an excellent chance of winning the election. They did so for bad motives. They did so to avoid personal irrelevance in a possible Trumpian Washington. And they did so as agents of the System. They did so in order to compromise and undermine and take over your movement and your administration. Do not fall for their blandishments. Do not compromise with them. Do not appoint them to positions of power. They are as deadly an enemy as are George Soros and his ilk — in fact, truth be told, they are his ilk: agents of the Jewish power structure that operates the fake Hillary Clinton Left and the fake Neocon Right. Let’s examine a couple of them: John Bolton and Rudy Giuliani. John Bolton never met a war for Israel that he didn’t like. He is a prominent member of such neoconservative and Zionist-oriented groups as the Jewish Institute for National Security Affairs (JINSA) and the Committee for Peace and Security in the Gulf (CPSG). Just a few days ago, he openly called for US-imposed “regime change” in Iran, pushing a policy that has no conceivable benefit for Americans, but may involve us a war against Iran that could result in the deaths of many tens of thousands of our people. Iran is a far more formidable potential enemy than Iraq ever was or could have been. Iran is allied with Russia. And Iran does not threaten America. It is Israel that wants war and regime change in Iran, and John Bolton is an Israeli agent. Bolton runs an outfit called the “John Bolton Super PAC” that supports Israel-subservient candidates, and which is funded in part by Jewish vulture capitalist Paul Singer. Bolton is the co-head of the neocon Gatestone Institute’s so-called “International Policy Council,” and his partner there is the unspeakable über-Zionist and Jeffrey Epstein playpal Alan Dershowitz. John Bolton and his ilk should be forever debarred from any position of power in your administration. We will be watching you, and judging you, on your response to the push to appoint him. Rudy Giuliani is also a man who has been totally, utterly, and irredeemably captured by the Jewish supremacists. Giuliani has been shilling for that crowd for a very long time. Even before he was elected mayor, more than a decade ago, he made the talk show circuit as a prosecutor, repeatedly saying — with that practiced tough-guy sincerity and a smile on his face — that what we needed to do was to enact ‘hate crime’ statutes that would give prosecutors like him the power to specially punish and imprison people because of their racial or political beliefs. “Yes, some will argue that hate crimes need not be punished more harshly than similar crimes committed for different reasons. But the fact is that extra penalties are used throughout civilized legal systems — in Europe as well as America — as a way to distinguish acts that are particularly heinous. One of the functions of the law is to teach, to draw lines between what’s permissible and what’s forbidden.” More chills for your spine, ladies and gentlemen. “…what’s permissible and what’s forbidden” as defined by Rudy Giuliani and his masters. We don’t need Alfred Hitchcock or Stephen King anymore, now that we’ve got Rudy and the Jews. And, like the Obama administration in Syria, Giuliani shilled for Islamic terrorist groups in order to push for regime change in Iran. He even spoke before a conference promoting a bloody terror group — the MEK — just a few months ago. Rudy Giuliani — and the rest of the Israel-worshipping, warmongering System Republicans — do not deserve to be within 25,000 miles of Washington and your administration, except perhaps in a jail cell. We are wise to these vampires who have been betraying our people and our nation. We know who our enemies are. We will be watching you, and judging you, on how quickly you act — if you choose to do right — to drive a stake through their hearts, and free our nation once again. I quite agree, Mr. Collins. We are free of Jewish supervision and we are championing those things now. Today, in the form of an open letter to Trump; tomorrow, in the form of radicalizing our people even further; and the day after tomorrow in taking whatever steps are necessary to build a new race-based order in this world. Let there be no misunderstanding: I think the chances of Mr. Trump’s reading — and fully understanding — my open letter are remote. But a few months ago, the idea of even a civic nationalist like Trump taking the Republican party away from its owners, and then defeating the combined forces of the Jewish-controlled media, the Democratic political machine, and the anti-White Left seemed rather remote too. Trump is joined at the hip to a certain wing of the Jewish power structure that is killing us, as I’ve pointed out again and again. I also entertain no illusions that we can build a racial state in North America through the ballot box. But like my letter to Elon Musk, this letter is a chance worth taking. Trump is volatile and has changed his positions over time. He is his own man to a degree not seen for half a century in his office. And this letter is not really only for Mr. Trump. Those who read it here — and those who read it as wends its way through the channels toward the new president — may well learn something, or be stimulated to think of things they hadn’t considered before. And some of those people possess stakes and hammers. We should, as William L. Pierce said, count our friends. And we should count our friends correctly. In the grammar of politics, faux amis (“false friends”) lead to faux pas (“false steps”), and faux pas can be fatal. In any case, we don’t have time to lose entertaining idle hopes, following false leaders, or indulging in what might be called “proxy politics.” White people should not only have a sense of danger that weighs upon them, they should also have a sense of duty that can lead them and support them through danger — an imperious sense of duty that demands continuous and conscientious work for one’s race. For my part, I’m inclined to take Trump seriously only if he orders a drone strike on George Soros, or has this subversive Sheeny rubbed out in some other way. Very good, Mr. Collins. Let me make it crystal clear: Donald J. Trump is not our leader. We of the National Alliance are the leaders of our people. (As Dr. William Pierce said, we alone — we who know the cosmic stakes of the fight for our race’s survival and self-determination — are the only adults in a world of children.) We are teaching — and leading — him, if he will listen. And even if he will not listen, we are teaching and leading all of those White people who by design or by chance may encounter our words as we engage with the world. You’ve been listening to American Dissident Voices, the radio program of the National Alliance. The National Alliance is working to educate White men and women around the world as to the nature of the reality we must face — and organizing our people to ensure our survival and advancement. Write to National Alliance, Box 172, Laurel Bloomery, TN 37680 USA to learn how you can make your life count — or visit natall.com. Once again, our postal address is Box 172, Laurel Bloomery, TN 37680 USA. Until next week, this is Kevin Alfred Strom reminding you of the words of Richard Berkeley Cotten: Freedom is not free; free men are not equal; and equal men are not free. 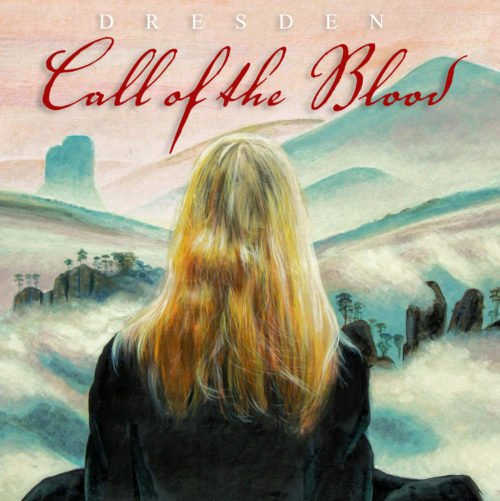 THE INCOMPARABLE, AMAZING music of Dresden’s Call of the Blood is now available in a digitally remastered 20th Anniversary edition CD. Crafted with jewel-like care and true artistry, this is unlike any music you have ever heard before. Listen to a low-bitrate sampler here. You can get your copy of Call of the Blood by clicking here. Use encryption against global mass surveillance. Excellent read, as always, Mr Strom. One part of your article I especially appreciated was your highlight of the young white working class. It is a class that not only Trump, but the National Alliance should be pushing to further include. The Traditionalist Workers' Party has done a fine job of that so far, and I believe we should take a page from their book. White Man 1 wrote: Excellent read, as always, Mr Strom. One part of your article I especially appreciated was your highlight of the young white working class. It is a class that not only Trump, but the National Alliance should be pushing to further include. The Traditionalist Workers' Party has done a fine job of that so far, and I believe we should take a page from their book. How's the TWP doing today? I see its leader is now in charge of community outreach for the National Socialist Movement (NSM). The Alliance will continue to reach out to young White workers but will not be associated with the NSM, thanks. The young working class Whites that we need will continue to come our way, not the other way around. Serious, smart young, disciplined White workers will be attracted to NA and its uncompromising hard line, and they, in turn, as "community organizers" will bring in others who can do a simple comparative analysis of NA with TWP and NSM and whatever else is out there trying to arouse and organize our best people. Will Williams wrote: How's the TWP doing today? I trust you're asking this question rhetorically, Chairman. The state of the Alliance is all that matters, and I agree that we need workers, managers, folks who come from all walks of life who agree with our life-philosophy and will help us implement it towards the realization of goals both long and short term. To me, Cosmotheism requires that its adherents not only believe, but also acts in accordance with our values. The building of the new library is an important step here as a recent example. Who else is building a center of learning for Whites? Not the TWP or NSM!